Joseph Edward Snowden was born in 1983. A system administrator and computer security expert, Snowden has become the most well-known whistleblower after he disclosed that the American government had been illegally monitoring the internet and collecting data of millions of users, including those of private citizens and public offices. Besides the direct involvement of the American government, Snowden also demonstrated that several companies collaborated with the National Security Agency (NSA) in this massive surveillance operation. Such scheme represents a high threat to freedom of expression and privacy on the internet, and Snowden brought the case to light in order to defend these basic rights. A high school drop-out, Snowden rose quickly working with computer security systems for the American Government and public contractors. He studied computers at Anne Arundel Community College in Arnold, in Maryland, and also spent four months training for the Army Reserves, though he did not complete his training due to an injury. He started working at the university of Maryland’s Center for Advanced Study of Language as a security guard at, but shortly after that he started working with IT for the CIA. He left his work, but continued working to the American government through various private contractors that provided services to the NSA. It was during this times between 2006 and 2012, approximately, that he saw how far the NSA reached and was willing to reach in terms of surveillance, national and international, under the pretext of keeping the United States safe from terrorist attacks. Snowden spent a great deal of time collecting data and building a dossier about the case. His idea was to blow the whistle in order to let the people decide if they agree to that surveillance operation or not. He was working at an NSA base in Hawaii when he took a medical leave and flew to Hong Kong, from where he could not be extradited. Ha had also contacted journalist Glen Greennwald and documentarist Laura Poitras and revealed to them the scheme. Snowden exposed not only what the NSA had performed until that moment, but their plans to expand their surveillance. The first story about the case was released on 6th June 2013 and his identity was disclosed, under his request, on 9th June. On 21st June he was formally accused by the U.S. Department of Justice of theft of government property and of violating the Espionage Act of 1917. His passport was revoked while he was in Moscow, and though his final destination was Ecuador, he had to remain in Russia. Later he was granted asylum in Russia, where he is still living, as he has not received the pardon from the American government. 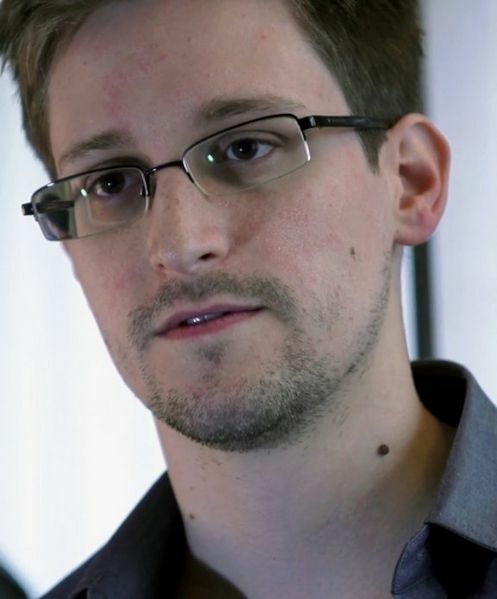 Edward Snowden has become a voice for free speech and privacy, and the ethical use of the internet, and has collected several prizes for his disclosure. Though many may consider him a traitor, his attitude demonstrates, in fact, how much he believes in the American Constitution, of which he kept a copy on his desk while working for the NSA. Since the First Amendment ensures the right to freedom of expression, he could not “in good conscience allow the U.S. government to destroy privacy, internet freedom and basic liberties for people around the world with this massive surveillance machine they’re secretly building”.